>>> now to president obama 's prime time address officially marking the end of combat operations in iraq . was the war worth the sacrifice? we'll talk with vice president joe biden who's in baghdad this morning in just a moment but first savannah guthrie has more on the president's remarks. >> reporter: the president said last night the country has paid a huge price for the war in iraq and it was time to turn the page . >> i am announcing that the american combat mission in iraq has ended. >> reporter: addressing the nation in prime time from the oval office , the president said he was fulfilling a campaign promise, withdrawing combat troops from iraq , a seven-year war that claimed more than 4,400 american lives. >> the united states has paid a huge price to put the future of iraq in the hands of its people, we have met our responsibilities. now it's time to turn the page . >> reporter: aboard air force one tuesday, the president called former president bush and tuesday night had kind words for his predecessor. >> it's well known that he and i disagreed about the war from its outset, yet no one can doubt president bush 's support for our troops or his love of country and commitment to our security. >> reporter: but the president's critics lashed out even before the address saying the president failed to give proper credit to bush's troop surge . >> some leader who is opposed, criticized and fought tooth and nail to stop the surge strategy, now proudly claim credit for the results. >> reporter: the president who visited with returning soldiers in texas said he was awed by the troops service and sacrifice. >> we must tackle those challenges at home with a sense of energy and a sense of purpose as our men and women in uniform served abroad. >> reporter: today the president's next foreign policy -- face to face talks between israel and the palestinian authority in 18 months. the president making a high stakes bet that involvement by the u.s. will kick start the peace process . yet on the eve of negotiations, hamas fighters killed four israeli settlers , bringing a swift response from israel 's prime minister in washington. >> we will not let the blood of israeli civilians go unpunished. >> reporter: and making talk of peace all the more difficult. >> the test of the mettle of this president is going to be can he move both leaders despite whatever provocations occur to stay committed. >> reporter: israel , the palestinian authority , egypt and jordan will hold a private dinner at the white house tomorrow. peace talks get underway in ernest at the state department . The estimate of civilian deaths tied to the war has declined since peaking in 2006 at 27,768 for that year. For January-July 2010, the estimate was 2,264 deaths. 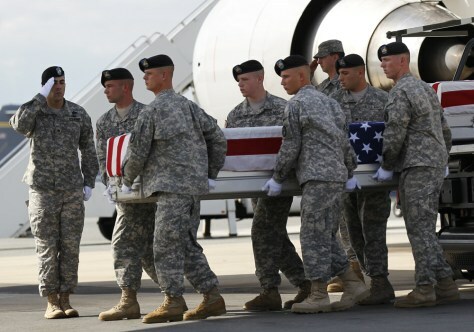 U.S. military fatalities peaked in 2007 at 904. The number of U.S. troops in Iraq topped 160,000 several times since 2003, and now stands at around 50,000. 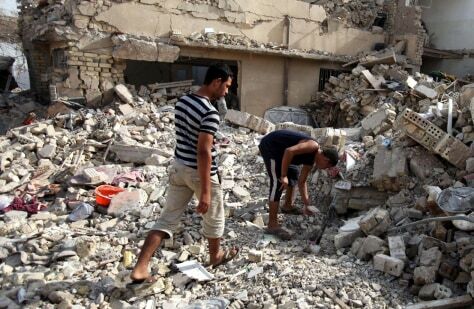 Richard Engel: Estimates of the number of Iraqi causalities vary wildly. The number I’ve heard from my most reliable sources is around 150,000. Many Iraqis, however, believe the number is much higher. It is not uncommon for Iraqis to claim that they lost one million to the war. While I have never seen evidence to support this claim, it is important because that is the common perception. One million dead is the number many Iraqis use to calculate in their minds the cost of the war. 2.76 million in November 2009, down from 2.84 million a year earlier but still high compared to 1.3 million in 2005. Seventy percent are women and children. Another 1.7 million Iraqis were living abroad in June 2009, down from a peak of 2.3 million who fled, mainly to Syria and Jordan. Source: Internal Displacement Monitoring Center, U.N.
Richard Engel: The displacement statistics don’t tell a complete picture because often those who left Iraq were from specific communities. Iraqi Christians for example left at a disproportionately high rate, as did Iraqi professors and medical doctors. Ninety percent of Iraqis get government-subsidized food rations of wheat, rice, sugar, tea and other basics — but distribution is uneven. The U.N. World Food Program helped 1 million Iraqis in December 2009, and estimates 6.4 million more are highly dependent on government safety nets. Richard Engel: Iraqis survived on these food rations under Saddam Hussein. Under his dictatorship, the food rations were basic, but complete. You could live off of them. Now, they are minuscule: just a few bars of soap or bags of rice. 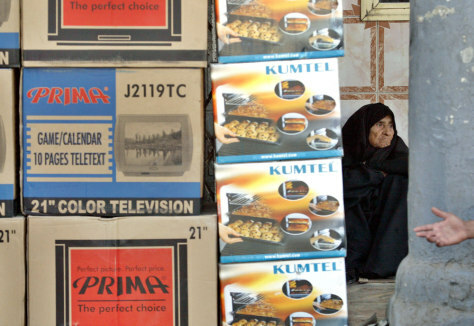 Iraqis still collect the rations, but can no longer live off them. While Iraq had 34,000 physicians in the early 2000s, by 2008 only 16,000 were still in the country — a trend that has not been reversed since Iraq's 2008 appeal for medical staff to return. Landlines have been stagnant, at around 40 per 1,000 people in recent years, but cell phones have soared from less than 1 per 1,000 in 2002 to 476 per 1,000 in 2008, the most recent year for which data is available. Those Iraqis with online access has grown tenfold, from less than 1 per 1,000 in 2002 to 10 per 1,000 in 2008. In 2003, Iraq was already 16 countries from the bottom of an annual ranking on perceived corruption. It's only gotten worse, being listed in 2009 as the fourth most corrupt country along with Sudan, and ahead only of Sudan, Myanmar, Afghanistan and Somalia. Richard Engel: Iraqi corruption is insidious and appears to be getting worse.